The International Wine Challenge 2014 have announced the 41 Champagnes and sparkling wines to win a coveted Gold medal at this year’s competition. 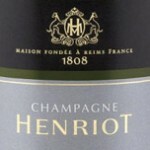 All fans of top fizz should take note, our very own Henriot won 4 gold medals! 10% of the over all winners came from this super house. Those looking to splurge on a big name should try and get their hands on the non-vintage Champagnes Blanc de Blancs (RRP £44), Brut Souverain (RRP £36) If you are feeling a little wicked or flush the 2005 Rosé Millésimé (RRP £59) and its 2005 Brut Souverain (RRP £55) are simply devine wines which so deserve the gold status. When a house like Henriot achieve such excellence, we tend to get a little excited in the office. It confirms, there and then, why we wanted to work with such a superb Champagne House!